At the time of the photo, President Clinton was 4 years old and living with his maternal grandparents, Edith and James Eldridge Cassidy. Former President Bill Clinton has Irish ancestry from both parents. 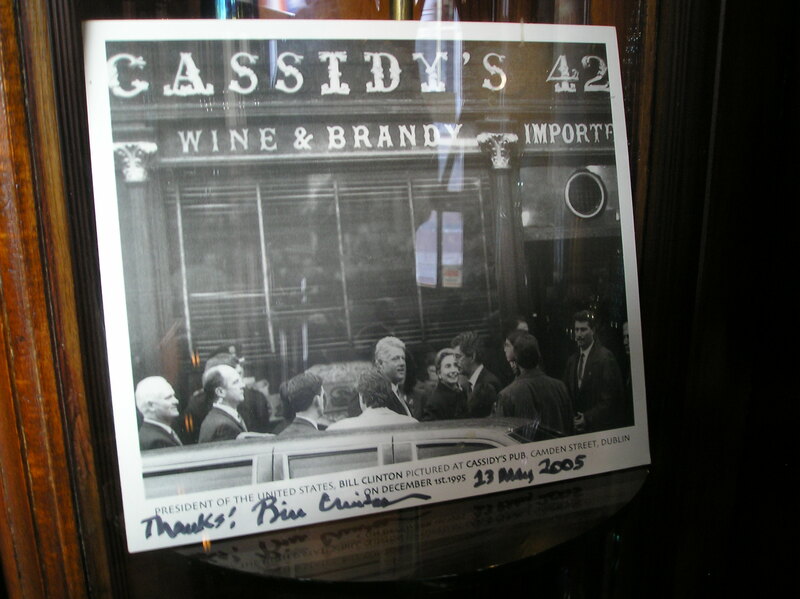 Of particular significance to the Cassidy Clan, President Clinton descended from Cassidys. His mother’s maiden name was Virginia Dell Cassidy. His Cassidy roots in America date back five generations to Levi Cassidy (c1790-c1850) of Chesterfield, South Carolina. Edith and Eldridge Cassidy home in Hope, Arkansas. President Clinton, whose father died before he was born, lived with his maternal grandparents for several years as a child while his mother attended nursing school. President Clinton credits his grandfather, James Eldridge Cassidy, with instilling in him a love for learning and teaching him to read by age four. 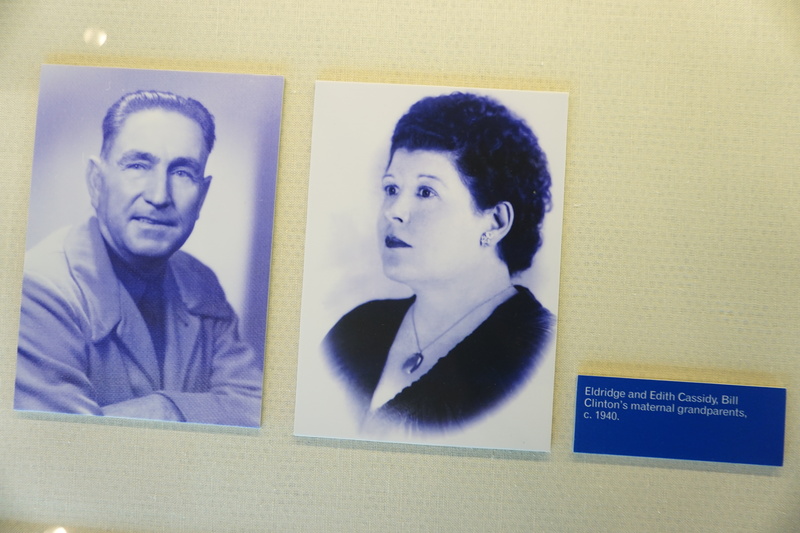 Eldridge and Edith Cassidy, President Clinton’s maternal grandparents. Photo from Clinton Presidential Library. 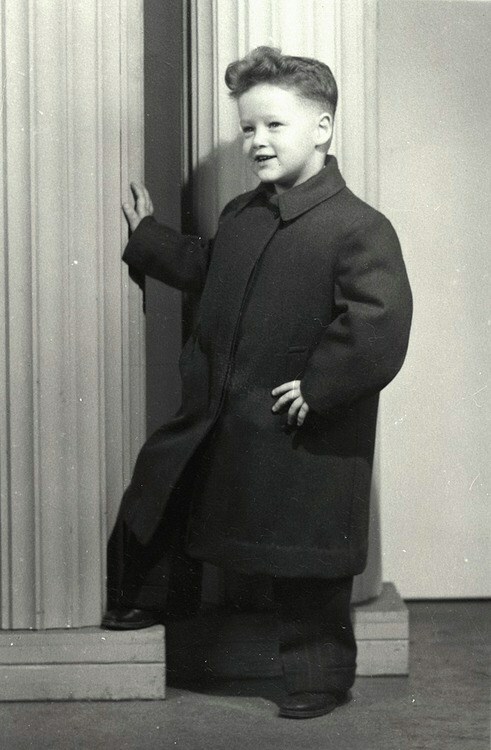 Young Bill Clinton was lucky to be entrusted to two extraordinary caring grandparents at an early age. While his mother attended nursing school in New Orleans, Edith and Eldridge Cassidy stepped in to guide his earliest steps. Childhood sweetheart from a small farm community outside Hope, they loved square dancing, Franklin D. Roosevelt, and the grandson who entered their lives in 1946. Eldridge Cassidy owned a small grocery in an African-American neighborhood on Hazel Street, across the street from the cemetery where he now lies buried. The store was one of the most integrated establishments in Hope. 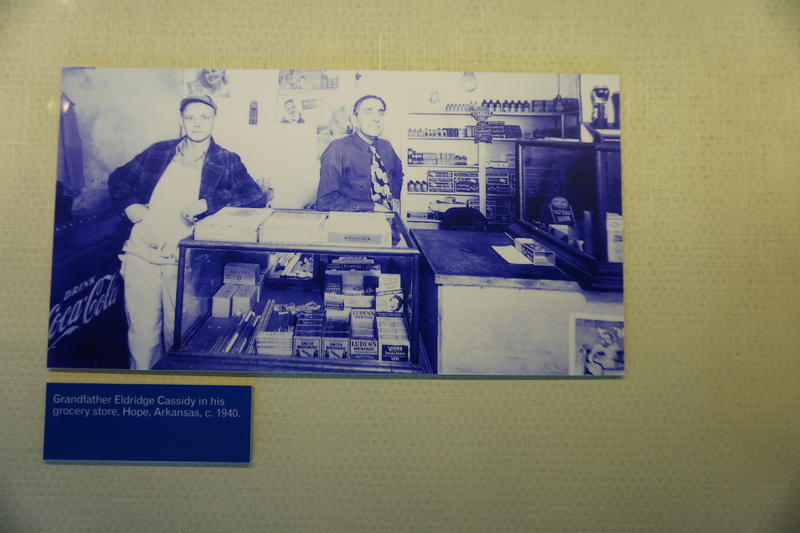 Eldridge Cassidy (on the right) in his store in Hope, Arkansas. Photo from Clinton Presidential Library. My mother was a Cassidy and how I wish she were alive to be here with me today. She would have loved the small towns and she would have loved Dublin. Most of all, she would have loved the fact that in Ireland, you have nearly 300 racing days a year. She loved the horses. When I started come here, you know, I got a lot of help in rooting out my Irish ancestry. And the oldest known homestead of my mother’s family, the Cassidys, that we’ve been able to find is a sort of mid 18th century farmhouse that’s in Rosleigh and Fermanagh. But it’s right on the – literally right on the border. And in my family, all the Catholics and Protestants intermarried, so maybe I was somehow genetically prepared for the work I had to do. Maybe it’s because there are 45 million Irish Americans, and I was trying to make a few votes at home. The truth is, it just seemed to me the right thing to do.